(1) V. Gouaillier and A. Fleurant, "Intelligent video surveillance: Promises and challenges," Technological and commercial intelligence report, CRIM and Technôpole Defence and Security, pp. 456-468, 2009. (2) H. K. Ekenel and B. Sankur, "Feature selection in the independent component subspace for face recognition," Pattern Recognition Letters, vol. 25, no. 12, pp. 1377-1388, 2004. (3) A. K. Jain and A. Kumar, "Biometrics of next generation: An overview," Second Generation Biometrics, 2010. (4) X. Wang, Q. Ruan, and Y. Ming, "3D Face recognition using Corresponding Point Direction Measure and depth local features," Signal Processing (ICSP), 2010 IEEE 10th International Conference on. IEEE, pp. 86-89, 2010. (5) V. Zeljkovic, D. Zhang, V. Valev, Z, Zhang and J. Li, "Personal access control system using moving object detection and face recognition," High Performance Computing & Simulation (HPCS), 2014 International Conference on. IEEE, pp. 662-669, 2014. (6) Q. Al-Shebani, P. Premarante, and P. Vial, "Embedded door access control systems based on face recognition: a survey," Signal Processing and Communication Systems (ICSPCS), 2013 7th International Conference on , vol., no., pp.1,7, 16-18 Dec. 2013. (7) J. Harguess and J. K. Aggarwal, "A case for the average-half- face in 2D and 3D for face recognition," Computer Vision and Pattern Recognition Workshops, 2009. CVPR Workshops 2009. IEEE Computer Society Conference on. IEEE, pp. 7-12, 2009. 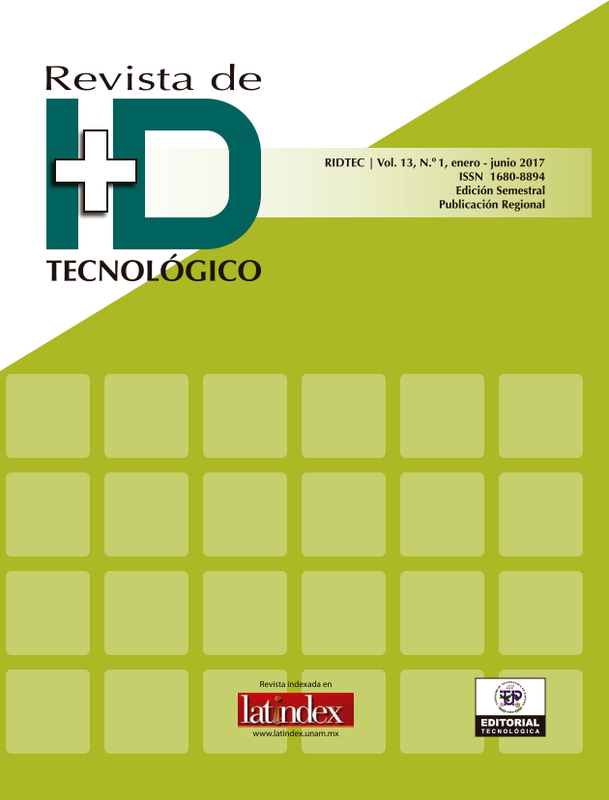 (8) F. Merchan, S. Galeano and H. Poveda, Mejoras en el Entrenamiento de Esquemas de Deteccion de Sonrisas basados en AdaBoost, Revista de I+D Tecnologico, Vol. 10, No.2, pp. 17-30, Dec. 2014. (9) F. Zuo, and P. H. N. de With, "Real-time embedded face recognition for smart home," Consumer Electronics, IEEE Transactions on, vol. 51, no. 1 pp. 183-190, 2005. (10) R. Meng, Z. Shengbing, L. Yi and Z. Meng, "CUDA-based real-time face recognition system," Digital Information and Communication Technology and it's Applications (DICTAP), 2014 Fourth International Conference on. IEEE, pp. 237-241, 2014. (11) S. Lin, "The study and implementation of real-time face recognition and tracking system," 2010 International Conference on Machine Learning and Cybernetics, Vol. 6, pp. 3050-3055, 2010. (12) M. Janarbek, A. Irturk, and R.Kastner, "Design and implementation of an fpga-based real-time face recognition system," Field-Programmable Custom Computing Machines (FCCM), 2011 IEEE 19th Annual International Symposium on. IEEE, pp. 97-100, 2011. (13) S. Sardar, and K. Babu, "Hardware Implementation of Real- Time, High Performance, RCE-NN Based Face Recognition System," VLSI Design and 2014 13th International Conference on Embedded Systems, 2014 27th International Conference on, IEEE, pp. 174-179, 2014. (16) J. Nagi, F. Ducatelle, G.A. Di Caro, D. Ciresan, and U. Meier, Giusti, F. Nagi and J. Schmidhuber and L.M. Gambardella, "Max-pooling convolutional neural networks for vision-based hand gesture recognition," in Signal and Image Processing Applications (ICSIPA), 2011 IEEE International Conference on , vol., no., pp.342-347, 16-18 Nov. 2011. (18) Barton, J. C., & Barton, N. J. (2004). U.S. Patent No. 6,688,134. Washington, DC: U.S. Patent and Trademark Office. (21) J. Ye, R. Janardan, Q. Li, “Two-Dimensional Linear Discriminant Analysis,” Advances in neural information processing systems, pp. 1569-1576, 2004. (22) P. Belhumeur, J. Hespanha and David Kriegman, "Eigenfaces vs. fisherfaces: Recognition using class specific linear projection," Pattern Analysis and Machine Intelligence, IEEE Transactions on, vol. 19, no. 7, pp. 711-720, 1997. (23) M. Turk, A. Pentland, Eigenfaces for Recognition, Journal of Cognitive Neurosicence, Vol. 3, No. 1, 1991, pp. 71-86. (24) M. Poveda, F. Merchán, Implementación de un sistema de control de acceso basado en reconocimiento facial, Revista Prisma Tecnológico, ISSN 2076-8133, Vol. 6, No.1, 2015. (25) P. Viola and M. J. Jones, “Robust Real-Time Face Detection,” International Journal of Computer Vision, vol. 57, no. 2, pp. 137-154, 2004. (26) P. Viola and M. J. Jones, “Fast Multi-view Face Detection,” Mitsubishi Electric Research Laboratories, TR2003-096, vol. 3, pp. 14, 2003. (27) H. Li, Z. Lin, X. Shen, J. Brandt and G. Hua, "A convolutional neural network cascade for face detection," 2015 IEEE Conference on Computer Vision and Pattern Recognition (CVPR), Boston, MA, 2015, pp. 5325-5334.